…distributional analysis is helpful. It helps inform the debate, and … shows how money is allocated by Government around the different income quintiles of society. HM Treasury’s draft results have now been published. 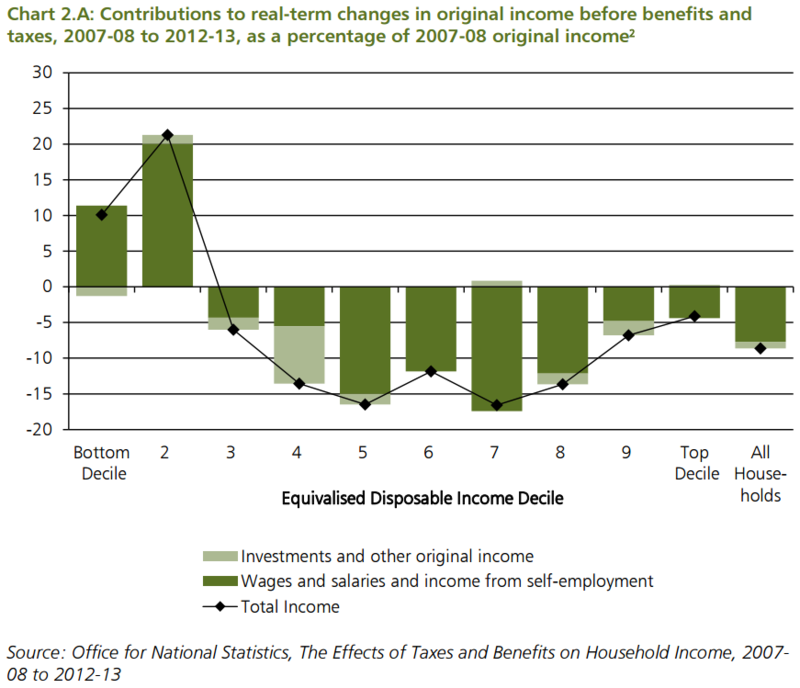 They show that low income households suffered the smallest pre-tax fall in income through the recession. That is not entirely representative of low-income households’ experience because they were disproportionately exposed to unemployment, but it is interesting to see that upper-middle-income households saw the greatest fall in wages during the recession. The impact of changes to taxes and welfare payments over the last Parliament has attempted to reverse those costs by penalising those on low incomes with sharp cuts to benefit rates. 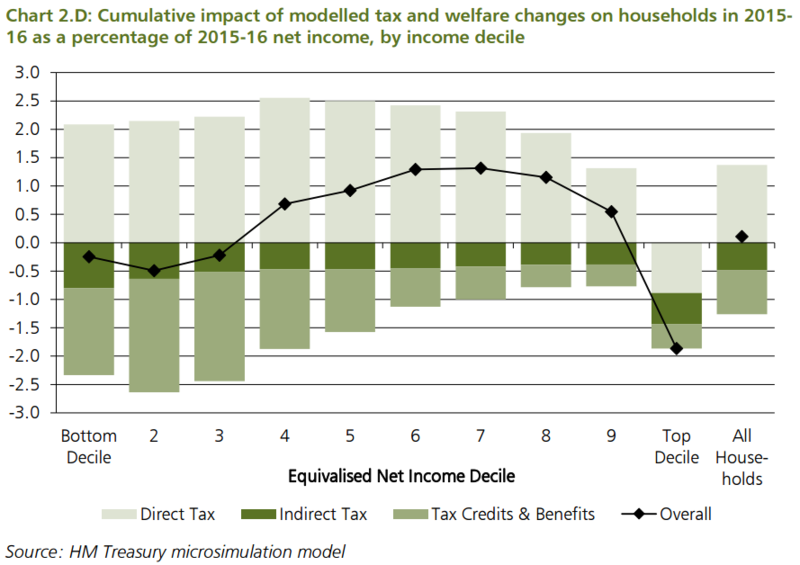 However, reductions in direct taxation have largely benefited middle-income households. The majority of the tax burden has fallen on the top decile of income earners. Director’s Law held over this Parliament. The Treasury will not be producing analysis of this kind for future fiscal events.